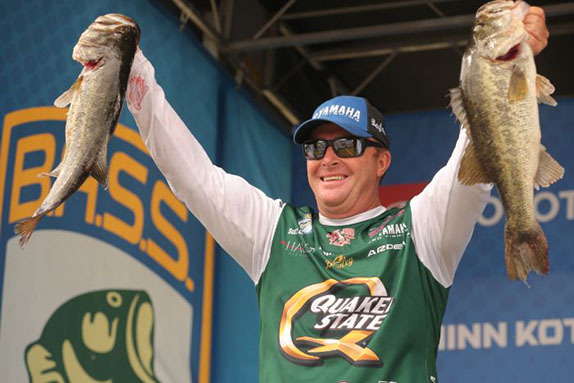 With the release of the 2019 FLW Tour roster earlier this week, it's fair to say most of the dust has settled after a tumultuous offseason that saw more angler movement than ever before, thanks in large part to the introduction of Major League Fishing's Bass Pro Tour, which filled its 80-man roster mostly with names from the Bassmaster Elite Series and a few from the FLW Tour. As a result, the Elite Series trimmed its roster size to 75 and will welcome a number of new faces who moved over from the FLW Tour. 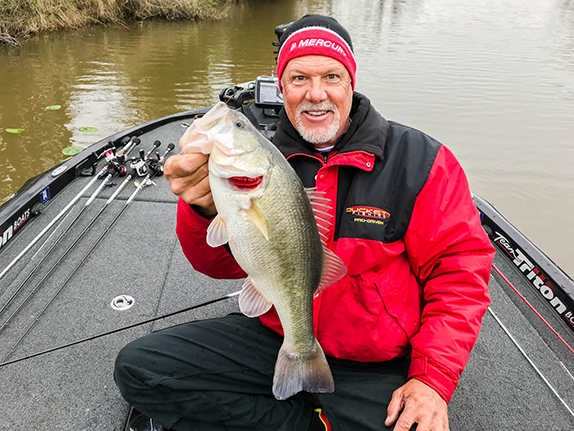 Finally, the FLW Tour announced it'll have a 170-boat field to start 2019 � the first season without co-anglers � including a rookie class that features 34 newcomers. That's a total of 325 anglers divided across three organizations. > * Quentin Cappo � Prairieville, La. > * Gary Clouse � Winchester, Tenn.
> * Drew Cook � Midway, Fla.
> * Rob Digh � Denver, N.C.
> * Greg DiPalma � Millville, N.J.
> * Dale Hightower � Manford, Okla.
> * Harey Horne � Bella Vista, Ark. > * Derek Hudnall � Newport, N.Y.
> * Mike Huff � Corbin, Ky.
> * Ed Loughran III � Mechanicsville, Va.
> * Luke Palmer � Coalgate, Okla.
> * Garrett Paquette � Canton, Mich.
> * Randy Pierson � Oakdale, Calif.
> * Tyler Rivet � Raceland, La. > * Patrick Walters � Summerville, S.C.
> Jason Abram � Piney Flats, Tenn.
> Randy Allen � Gilliam, La. > Scott Ashmore � Broken Arrow, Okla.
> Evan Barnes � Hot Springs, Ark. > Clayton Batts � Butler, Ga.
> *Bradford Beavers � Summerville, S.C.
> Matt Becker � Finleyville, Pa.
> Bob Behrle � Hoover, Ala.
> Daryl Biron � South Windsor, Conn.
> Randy Blaukat � Joplin, Mo. > Greg Bohannan � Bentonville, Ark. > Terry Bolton � Benton, Ky.
> Lionel Botha � Malabar, Fla.
> *Bailey Boutries � Daphne, Ala.
> Jay Brainard � Enid, Okla.
> Aaron Britt � Yuba City, Calif.
> Grae Buck � Harleysville, Pa.
> *Miles Burghoff � Hixson, Tenn.
> Tim Cales � Sandstone, W. Va.
> *Jonathan Canada � Helena, Ala.
> Ryan Chandler � Hebron, Ind. > Glenn Chappelear � Acworth, Ga.
> *Jason Christy � Dadeville, Ala.
> Joey Cifuentes � Clinton, Ark. > Sheldon Collings � Grove, Okla.
> Ramie Colson Jr. � Cadiz, Ky.
> Kyle Cortiana � Coweta, Okla.
> John Cox � DeBary, Fla.
> Alex Davis � Albertville, Ala.
> Darrell Davis � Dover, Fla.
> *Randy Despino � Colfax, La. > Jeff Dobson � Bartlesville, Okla.
> Bradley Dortch � Atmore, Ala.
> Josh Douglas � Isle, Minn.
> David Dudley � Lynchburg, Va.
> Tony Dumitras � Winston, Ga.
> Luke Dunkin � Lawrenceburg, Tenn.
> *Jon Englund � Farwell, Minn.
> Charlie Evans � Berea, Ky.
> Ron Farrow � Rock Hill, S.C.
> Austin Felix � Eden Prairie, Minn.
> *Kevin Finley � Phoenix, Ariz.
> Mark Fisher � Wauconda, Ill.
> Tim Frederick � Leesburg, Fla.
> *Hunter Freeman � Monroe, La. > *Derek Fulps � Broken Arrow, Okla.
> Nick Gainey � Charleston, S.C.
> *David Gaston � Sylacauga, Ala.
> *Sam George � Athens, Ala.
> Matt Greenblatt � Port St. Lucie, Fla.
> Chad Grigsby � Maple Grove, Minn.
> *Brant Grimm � Church Hill, Tenn.
> Buddy Gross � Chickamauga, Ga.
> Cody Hahner � Wausau, Wis.
> Bradley Hallman � Norman, Okla.
> *Chip Harrington � Olathe, Kan.
> Dylan Hays � El Dorado, Ark. > Billy Hines � Vacaville, Calif.
> Jamie Horton � Centreville, Ala.
> Jimmy Houston � Cookson, Okla.
> Miles Howe � San Juan Capistrano, Calif.
> Rex Huff � Corbin, Ky.
> John Hunter � Shelbyville, Ky.
> Bill Hutchison � Bessemer, Ala.
> Charlie Ingram � Centerville, Tenn.
> Eric Jackson � Walling, Tenn.
> Jim Jones � Big Bend, Wis.
> Rob Jordan � Flowery Branch, Ga.
> Cody Kelley � Conway, Ark. > Jay Kendrick � Grant, Ala.
> Rob Kilby � Hot Springs, Ark. > Brad Knight � Lancing, Tenn.
> Brian Latimer � Belton, S.C.
> *Marty Lawrence � Mesa, Ariz.
> Jeremy Lawyer � Sarcoxie, Mo. > *Nick LeBrun � Bossier City, La. > Wes Logan � Springville, Ala.
> Richard Lowitzki � Hampshire, Ill.
> Tim Malone � Kodak, Tenn.
> Scott Martin � Clewiston, Fla.
> Billy McCaghren � Mayflower, Ark. > Johnny McCombs � Morris, Ala.
> Bill McDonald � Greenwood, Ind. > Brandon McMillan � Clewiston, Fla.
> Jared McMillan � Belle Glade, Fla.
> Chuck Medley � Owens Cross Roads, Ala.
> Jason Meninger � Saint Augustine, Fla.
> Kerry Milner � Bono, Ark. > Kurt Mitchell � Milford, Del. > Tom Monsoor � La Crosse, Wis.
> Harry Moore � Valley, Ala.
> Bob Morin � Seymour, Tenn.
> Troy Morrow � Eastanollee, Ga.
> Brandon Mosley � Choctaw, Okla.
> Jim Moynagh � Carver, Minn.
> Shawn Murphy � Nicholasville, Ky.
> Chris Neau � New Orleans, La. > *Corey Neece � Bristol, Tenn.
> *Ron Nelson � Berrien Springs, Mich.
> Larry Nixon � Quitman, Ark. > Robert Pearson � Herndon, Va.
> Pete Ponds � Madison, Miss. > *Hensley Powell � Whitwell, Tenn.
> Chad Randles � Elkhorn, Neb. > * Drew Ratley � Shreveport, La. > Clark Reehm � Elm Grove, La. > Jimmy Reese � Witter Springs, Calif.
> Darrel Robertson � Jay, Okla.
> Craig Rozema � Simpsonville, S.C.
> *Ryan Salzman � Huntsville, Ala.
> Casey Scanlon � Lake Ozark, Mo. > Bryan Schmitt � Deale, Md. > Colby Schrumpf � Highland, Ill.
> Braxton Setzer � Montgomery, Ala.
> Billy Shelton III � La Crosse, Va.
> *A.J. 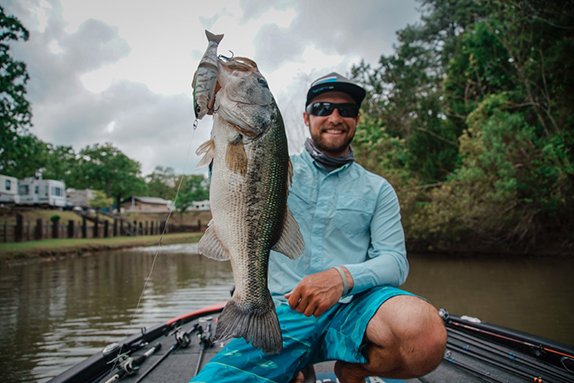 Slegona � Pine Bush, N.Y.
> Blake Smith � Lakeland, Fla.
> Derrick Snavely � Piney Flats, Tenn.
> Matthew Stefan � Junction City, Wis.
> Tyler Stewart � West Monroe, La. > *Chuck Stratton � Chaffee, Mo. > *Wade Strelic � Alpine, Calif.
> Mike Surman � Boca Raton, Fla.
> Timmy Thompkins � Myrtle Beach, S.C.
> Bryan Thrift � Shelby, N.C.
> Rusty Trancygier � Hahira, Ga.
> J. Todd Tucker � Moultrie, Ga.
> Andrew Upshaw � Tulsa, Okla.
> John Voyles � Petersburg, Ind. > *Jacob Wall � Jacksonville, Ore.
> Chad Warren � Sand Springs, Okla.
> Joshua Weaver � Macon, Ga.
> Joseph Webster � Winfield, Ala.
> Chris Whitson � Louisville, Tenn.
> Andy Wicker � Pomaria, S.C.
> Scott Wiley � Bay Minette, Ala.
> *Joel Willert � Prior Lake, Minn.
> David Williams � Maiden, N.C.
> *Austin Wilson � Citrus Heights, Calif.
> Barry Wilson � Birmingham, Ala.
> *Tyler Woolcott � Port Orange, Fla.
> David Wootton � Collierville, Tenn.
> Andy Young � Isle, Minn.